Take-up of electric and plug-in hybrid vehicles is being held back by a lack of understanding of the technology and how it can best be used, according to Arval. Fleets have an unprecedented choice of drivetrain options. The company said the issues stem from traditional methods of compiling choice lists, based on whole-life costs, actual costs and CO2 output, and that vehicles which can spend at least some of the time using only electricity don’t fit these models. 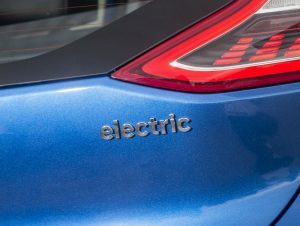 Arval also said there’s a lack of knowledge about the different drivetrains on offer, particularly differentiating between conventional hybrids and plug-in hybrids, which potentially suit very different drivers, and that problems calculating business mileage for plug-ins remains an issue too. David Watts, Fleet Consultant at Arval UK, said: “It may sound like quite a technical argument but a lot of fleets spend considerable periods of time working on their choice lists and deciding on which parameters they will use. These decisions have probably been rubber stamped by several internal departments such as human resources and finance. But, Watts said, it’s not an insurmountable problem: “Our consultancy team has been doing work in this area for several years and we have become very proficient at adding new drivetrain technologies to fleets while preserving the underlying principles of choice lists.